ARRL's Logbook of The World Tops 100 Million QSL Records! ARRL CW Rookie Roundup Returns on December 21! The ARRL's Logbook of The World (LoTW) online "card-less" contact-confirmation service this week recorded a new milestone -- 100 million QSL records out of some 630 million uploaded contacts. That's an increase of more than 18 million QSL records since the end of last year. First described conceptually in the October 2001 QST "It Seems to Us..." editorial, Logbook of The World launched in September 2003. Since then, it has become an accepted Amateur Radio institution -- perhaps not at the same level of traditional QSL cards, but close and gaining. The 100 million contact confirmations, ARRL CEO David Sumner, K1ZZ, pointed out, is the equivalent of 200 million QSL cards. "If placed end to end, that many QSLs would reach more than 17,000 miles -- not quite all the way around the world, but enough to qualify as a 'long-path' QSO," he quipped. ARRL CEO Harold Kramer, WJ1B, pointed out that using LoTW can mean a considerable saving in postage for DXers and others over the expense of exchanging QSL cards. LoTW was an instant success. Within 2 weeks of its debut, the service already had some 2200 registered users and had confirmed some 51,000 contacts out of more than 8 million uploaded. The number of users today number more than 72,000 -- up by nearly 10,000 this year alone. Over LoTW's 11-year lifetime, many logging programs have incorporated features to enable them to interface smoothly with LoTW. Several awards programs, starting with the ARRL DX Century Club (DXCC) award, now rely largely on LoTW to determine whether an applicant has met the award's requirements. It's also made it easier for award seekers to track their progress. LoTW is the primary means to confirm ARRL Centennial QSO Party contacts. The service also supports VUCC, WAS, and WPX. Read more. Although the ARRL celebrated its centennial this year, 2015 will be the centennial year for QST magazine. 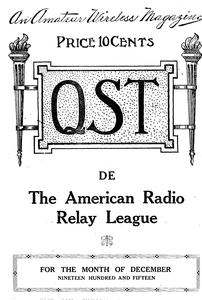 First published in December 1915, QST is not only the official membership journal of the ARRL, it is also the most widely read Amateur Radio magazine in the world. QST kicks off its celebration with a photo contest, which was announced in the January 2015 issue as well as online. Winning photos will appear on several QST covers throughout 2015 and each winning photographer will receive $250. 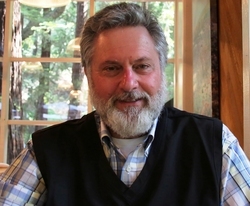 "We're hoping to showcase a number of member photos on 2015 covers," said QST Editor in Chief Steve Ford, WB8IMY. "We've also planned a few 'surprise' covers that I think readers will enjoy." Each 2015 issue of QST will also contain articles and columns republished from vintage issues. "The January issue reprinted the special declaration from the January 1942 issue of QST concerning the cessation of amateur operations at the start of the US entry into World War II," Ford said. "The statement was originally printed on yellow stock, to make sure readers wouldn't miss it. We duplicated that background color in our version as well." Vintage articles will be reprinted exactly as they appeared originally. "We chose articles based on either historical relevance or nostalgia value," Ford said. "For instance, we'll be reprinting one of the first QST articles to describe the use of transistors in Amateur Radio applications. For the April Fool theme, readers should beware the reappearance of the infamous Larson E. Rapp." Ford went on to say that observant readers would be finding other treats in 2015 QSTs. "As space permits, we will be reprinting some vintage Gil Gildersleeve cartoons. I'd advise readers to also be on the lookout for occasional appearances of the beloved 'Stray' kitties. Long-time QST readers will know what I mean." Read more. ARRL President Kay Craigie, N3KN, has appointed Art Zygielbaum, K0AIZ, of Lincoln, Nebraska, as Midwest Division Vice Director. He will fill the vacancy created when incumbent Vice Director Rod Blocksome, K0DAS, was elected Midwest Division Director. Zygielbaum said that when it was first suggested that he consider the appointment, he hesitated because of his already-full schedule of teaching, research, and volunteer activities. "But, Amateur Radio has given me a focus that informed and provided technical resources for my entire career," he said. "The skills I learned, the people I met, and the spirit I inherited from my Elmers have served me well. Accepting the Vice Director position is another way that I can give back to the hobby." An ARRL Life Member, Zygielbaum served as Nebraska Section Manager from 2009 to 2013. He has been a Midwest Division Assistant Director since 2013. He is also a member of the Air Force Military Auxiliary Radio Service (MARS) and serves as Nebraska Deputy State AF MARS Director. He has been licensed since 1961. His 3-year term as Midwest Division Vice Director will begin at noon Eastern Time on January 1, 2015. Read more. Some preliminary results of the 2014 ARRL November Sweepstakes CW have been posted to the ARRL website contest results page as a PDF document. The results do not include line scores -- only category winners and Top 10 lists. The results are pending final review. Contributing Editor Kelly Taylor, VE4XT, who is compiling the statistics and authoring the article for this year's event, noted that the 2014 running of the November CW Sweeps was remarkable for how rare it was to make a "clean sweep." "Only 102 stations worked all 83 sections, down from 258 sweeps in 2012," he reported. Northern Territories (NT) was even more rare than usual. Only two NT stations entered, and they made just 210 contacts between them. Of the eight entry category winners, just five made a clean sweep this year, although the other three came very close. "No SS CW records were harmed in the running of the 2014 contest," Taylor quipped. Recently licensed radio amateurs who have been working hard to improve their Morse code proficiency will have a great opportunity to put their improved skills to use on December 21, when the CW edition of the ARRL Rookie Roundup returns to the airwaves. A Rookie is any radio amateur who has been licensed for 3 years or less, regardless of license class. If you received your license in 2012, 2013, or 2014, you're eligible to compete as a Rookie. Operators licensed before 2012 may compete and will be recognized in the final results, but they may only submit check logs. Old Timers are encouraged to get on the air and work Rookies. There are many ways for Rookies to participate. They can enter in the Single Operator category on their own, or they can compete in the Multioperator category and join a group of other Rookies at one station, taking turns at the key. Up to five Single Operator Rookies can operate from separate stations and combine their scores as a team. Stations are allowed a maximum of 100 W, Elmering is encouraged, and the use of spotting networks is permitted (but, please, no self-spotting). Rookies call "CQ RR" (CQ Rookie Roundup), while veteran ops call "CQ R" (CQ Rookies). Rookies can work anyone, but non-Rookies can only work Rookies. Exchange the call sign of the station you're working, your call sign, your first name, the two-digit number of the year first licensed, and your state, Canadian province, Mexican call area, or DX. You need not send any faster than you can copy. Other operators should slow down (QRS) for you, and you will work stations. If you're a veteran operator or a member of a club that promotes CW activity, break out your straight key or paddle, send slowly, and work some Rookies. You can show them how much fun CW can be! Three Rookie Roundups -- SSB, RTTY, and CW -- are held each calendar year. The CW Rookie Roundup will take place on Sunday, December 21, from 1800 UTC through 2359 UTC. The ARRL Centennial W1AW portable operations taking place throughout 2014 from each of the 50 states are now in Indiana and Montana. They will transition at 0000 UTC on Wednesday, December 17 (the evening of December 16 in US time zones), to Maryland (W1AW/3), Hawaii (W1AW/KH6), and Georgia (W1AW/4). By December 31 W1AW will have been on the air from every state at least twice. The ARRL Centennial QSO Party is open to all. Working W1AW/x from each state is worth 5 points per mode/contact, even when working the same state during its second week of activity. ARRL members, appointees, elected officials, HQ staff and W1AW are worth ARRL Centennial QSO Party points as well. Hara Arena -- for many years the home of Dayton Hamvention® -- is facing some financial issues and has cut back on its full-time staff to save money, according to a WDTN-TV "2 News" account. The Dayton TV station reported on December 2 that the Trotwood, Ohio complex now has a full-time staff of only 12 employees. Karen Wampler, Hara's Director of Marketing, told the TV station that it's difficult for Hara Arena to compete with other Miami Valley venues, such as the Nutter Center at Wright State University, but she hinted at a positive announcement next year. Hara Arena in Trotwood, Ohio, has been the home of the Dayton Hamvention for decades. "As taxpayers, we're competing against facilities that are subsidized by tax dollars, and because of that, we are struggling to compete," Wampler said. "The primary challenges are that we need renovation dollars, and the ownership model needs to be changed." The Wampler family has owned and operated Hara Arena since its humble origins in the 1950s, when Wampler Ballarena -- then a dance hall, now an exhibit hall familiar to Hamvention visitors -- was built in what had been a family-owned orchard. 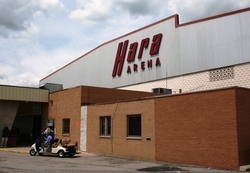 Hara Arena has since expanded to a 165,000-square-foot, six-building complex. Last year Hara Arena hosted 239 events, including Hamvention, generating an estimated $34 million in community revenue. Wampler told 2 NEWS that the arena is working with a company called VenuWorks, which specializes in restoring event venues, and she anticipated some "very, very, good news in 2015." Hara Arena has hosted everyone from The Rolling Stones and Kid Rock to President George W. Bush over the years. It is home to the Dayton Demonz hockey team. "There's a lot of history," Wampler said. Last year, Dayton Hamvention, sponsored by the Dayton Amateur Radio Association, attracted nearly 25,000 visitors. The Boy Scouts of America 2014 Jamboree On The Air (JOTA) -- the 57th such event -- reported an overall decline in JOTA participation from 2013 to 2014 by Boy Scout Councils, individual Scouts, and stations. The drop may be due in part to the failure of some participating stations to file reports. JOTA takes place each year on the third full weekend of October. The BSA also provided a video report. Participation in the 2012 JOTA made a big jump, with 18,566 Scouts and visitors. In 2013, however, participation was down by nearly 4700 to 13,866, and this year it dropped by another 540 to 13,326. The BSA report broke down that participation into 7208 Scouts and 5589 visitors in 2014. "Our key concern is that roughly 40 percent of the stations that register prior to the event fail to file a report after the event, a percentage that has remained consistent over the past few years," National Jamboree on the Air Organizer Jim Wilson, K5ND, told ARRL. "We are now conducting a survey with the 130 stations that did not file a report in 2014 to see what we can do better next year." According to the report, 354 stations registered to participate, but only 205 filed reports. Wilson said another concern is the drop-off in local Scout Council participation, from 180 in 2012 to 148 in 2014. "The missing reports can no doubt help somewhat with this, but we recognize that we need to do a better job promoting the event to Scout Council staff and volunteers," he added. "We've done a much better job getting the word out to the Amateur Radio community, with some great assistance from the ARRL." Read more. Amateur Radio volunteers in the Philippines activated emergency nets on HF and VHF as Typhoon Hagupit -- called Typhoon Ruby locally -- raked slowly across the islands over several days, weakening as it went. Before the typhoon (hurricane) was downgraded to a tropical storm, though, upward of 3 dozen people died, many as a result of drowning. Authorities took advantage of advance weather warnings to evacuate up to 1 million residents from areas prone to storm surges and flooding, likely minimizing the death toll. More than half the population of Albay province was evacuated. The eastern island of Samar was hardest hit, although the typhoon caused far less damage than had initially been predicted. "As Typhoon Hagupit entered its third day, ham operators continue to provide essential traffic as the storm progresses through Philippine territory," Philippine Amateur Radio Association (PARA) Chief Operating Officer Thelma Pascua, DU1IVT, reported over the weekend, while the storm was still raging. She had expressed confidence that all emergency traffic would be "adequately serviced." The typhoon made several landfalls before eventually exiting the Philippines. Members of the Ham Emergency Radio Operations (HERO) -- the PARA equivalent of the US Amateur Radio Emergency Service (ARES) -- monitored 7.095 MHz on HF and 144.740 MHz on VHF. Operators were able to support essential traffic as the storm progressed. The typhoon's unhurried pace enabled HERO volunteers to consolidate their communication assets. HERO volunteer (and RADNET-5 president) Ronald Madera, DW5NLH, on December 6 reported that an elementary school building being used as an evacuation center in Oras, Eastern Samar, had collapsed, injuring some evacuees. Since it was the height of the typhoon, there was no volunteer in the provincial capital of Borongan. Amateur Radio was used to send a rescue team request, which ended up being relayed from station to station until it reached its intended recipients. International Amateur Radio Union Region 3 (IARU-R3) and the Asia-Pacific Telecommunity (APT) have concluded a Memorandum of Understanding (MOU) aimed at establishing collaboration between the two bodies in areas of mutual interest. IARU Region 3 Chairman Gopal Madhavan, VU2GMN, and APT Secretary-General Toshiyuki Yamada signed the MOU on their respective organizations' behalf. Headquartered in Thailand, APT is one of the six regional telecommunication organizations involved in spectrum-allocation policy, as well as in fostering development of telecommunication services and information infrastructure in the Asia-Pacific Region. As do CEPT in Europe and CITEL in the Americas, APT's 38 member administrations hold a series of meetings in advance of a World Radiocommunication Conference (WRC) to develop a regional perspective on the conference agenda items. WRC-2015 will be held in Geneva next fall. IARU Region 3 has been sending a representative and submitting information documents to APT meetings for a number of years. The new MOU formalizes the working relationship between the two regional entities and ensures that the IARU, through its Region 3 organization, will be able to make its positions known to APT. Read more. The WRTC-2018 Organizing Committee has announced the team selection criteria for the next World Radiosport Team Championship. Ulf Ehrlich, DL5AXX, spearheaded the development of the selection rules for the international competition, which Germany is hosting. A World Radiosport Team Championship features approximately 50 two-person Amateur Radio teams competing in a test of operating skill. The event takes place during July, concurrent with the IARU HF Championship. For WRTC-2018, a total of 49 team leaders will be selected through qualifying events between February 2015 and November 2016. The first qualifying event will be the 2015 ARRL International DX Contest (CW). "As a special highlight, we want to give three youth teams the chance to fight the battle together with the big ones," the WRTC-2018 organizers said in announcing the selection criteria. The organizers said that based on feedback received from previous competitors, they opted for fewer qualifying events and a shorter qualification period. There are 32 qualifying events -- 30 for Germany, 28 for the rest of Europe, and 26 for the rest of the world. A total of the 12 best event scores will be used for qualifying. The Russian Amateur Radio on the International Space Station (ARISS) team members plan to activate slow-scan television (SSTV) from the ISS on December 18 and December 20. Several passes will be over North America. The expected SSTV mode will be PD180 on a frequency of 145.800 MHz with 3-minute off periods between transmissions. ARISS 2015-2016 Officers (L-R) ARISS Vice-Chair Oliver Amend, DG6BCE; ARISS Secretary-Treasurer Rosalie White, K1STO, and ARISS Chair Frank Bauer, KA3HDO. 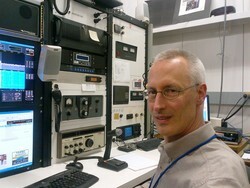 Project Selection & Use Committee representative Lou McFadin, W5DID, have successfully received Ham TV transmissions. ARISS-EU President Gaston Bertels, ON4WF, has been working with European Space Agency (ESA) management to finalize the agreement that transfers custody of the Ham Video transmitter from ESA to ARISS. Steiner told the teleconference that more "blank" test transmissions could take place, once the custodial agreement is finalized. 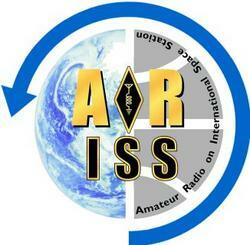 NASA Astronaut Mike Hopkins, KF5LJG, successfully installed and commissioned the ARISS Ham Video system last March. The system can transmit video of the crew and the interior of the Columbus module on the 2.4 GHz band (S-band). During the November 18 teleconference, ARISS International delegates re-elected the current slate of officers for new 2-year terms starting on January 1, 2015. 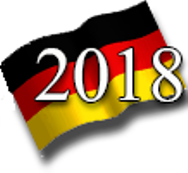 The incumbents are ARISS Chair Frank Bauer, KA3HDO; ARISS Vice-Chair Oliver Amend, DG6BCE, and ARISS Secretary-Treasurer Rosalie White, K1STO. In keeping with tradition, Canada's ARISS delegate Ian MacFarquhar, VE9IM, handled the election logistics. Read more. For a Good Time, Check Out the ARRL 10 Meter Contest December 13-14: Conditions on 10 meters have been hot in recent weeks, and that may hold for the 2014 ARRL 10 Meter Contest on December 13-14. New this year: Single Operator stations using assistance will no longer be categorized as Multioperator entries. Also, nine new Unlimited categories have been added: Single Operator QRP, Low and High Power CW Only, Phone Only, or Mixed Mode. The action gets under way at 0000 UTC on Saturday, December 13 (Friday, December 12, in US time zones) and wraps up at 2359 UTC on Sunday, December 14. In early 1999, PSK31 was becoming very popular, with many users considering it to be a replacement for good old RTTY as a keyboard-to-keyboard mode. Also by 1999, amateurs had developed automated meteor-scatter stations for VHF use -- thanks to APRS, good computers, high-speed Morse, innovative software, and ham ingenuity. On December 30, 1999, FCC issued its Report and Order on Amateur Radio license restructuring. Beginning on April 15, 2000, the FCC would issue just three license classes -- Technician, General, and Amateur Extra -- and impose a single 5 WPM Morse code requirement for General and Amateur Extra applicants. No then-current license holders lost any privileges, and "old" Technician licensees were able to apply for a General license with no further testing. And then came Y2K...with none of the breakdowns of society, communications systems, ATMs, aircraft, ad nauseum. Everything kept running smoothly. But ARRL used the occasion to revamp QST. The editorial staff had spent months developing a profile of the typical ham in order to guide them in making QST the magazine that members wanted. In January 2000, QST began publishing new columns about QRP, mobile and portable operation on HF and VHF, vintage radio gear, and the "QST Workbench." This was in addition to formatting changes to make the magazine more attractive. Starting with the December 2000 issue, all editorial content was printed in full color. By 2000, several states had proposed bans on cell phone use while driving. ARRL began carefully monitoring the various pieces of proposed legislation, to be sure that operating Amateur Radio equipment while driving would not be included among the prohibitions. 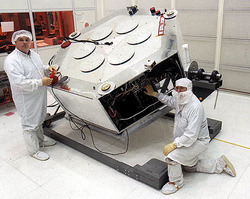 On November 16, 2000, AMSAT-OSCAR 40 -- Phase 3D -- was successfully launched into orbit. Initial testing began, but the spacecraft suddenly fell silent. Following many unsuccessful recovery attempts, AO-40 came to life on Christmas Day, with many of its capabilities restored. Tad Cook, K7RA, in Seattle, reports: Compared to the previous 7 days, solar activity dropped over the December 4-10 period, with average daily sunspot numbers down 63.6 points to 88.4, and average daily solar flux off 32.5 points to 139.6. The latest forecast has solar flux at 155 and 165 on December 11-12, 170 on December 13-17, 175 on December 18-19, then 170, 165, and 150 on December 20-22, 155 on December 23-27, 150 on December 28-29, 145 and 140 on December 30-31, 135 on January 1-4, then 140, 145, 150, 155, and 160 on January 5-9, and 165 on January 10-12. It then is predicted to reach a peak of 175 on January 14-15. Predicted planetary A index is 6 and 5 on December 11-12, 12 on December 13-15, then 6, 10, and 12 on December 16-18, 10 on December 19-20, 5 on December 21-27, 8 on December 28-30, 10 on December 31 through January 1, then 12, 25, 15, and 10 on January 2-5, 8 on January 6-7, 10 on January 8-9, 8 on January 10-12, 10 and 12 on January 13-14, and 10 on January 15-16. This weekend is the annual ARRL 10 Meter Contest, a really fun event that, due to the nature of 10 meters, always holds many surprises. The Geminids meteor shower also peaks this weekend, so ionized meteor trails could enhance propagation at the high end of the HF spectrum. My prediction is that conditions during the ARRL 10 Meter Contest should be slightly better than they were for last year's event, with solar activity somewhat higher and geomagnetic instability about the same. In other words, not bad. In 2013 the solar flux for the contest weekend averaged 154. 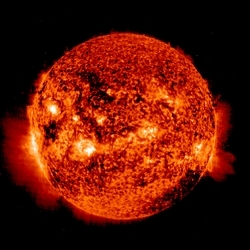 This weekend, the predicted solar flux averages out at 168.3, about 9 percent higher. Last year the planetary A index averaged 8.7. This year's forecast calls for an average of 9.7. To compare propagation predictions for last year's contest weekend, see 2013 bulletins ARLP051 and ARLP052.